ASM Ireland’s quick turnaround and cost effective solutions are ideally suited to a large range of Environmental Monitoring and Mapping tasks. From Environmental Impact Assessments to identifying risks in Emergency situations, ASM Ireland can enhance any project. Our UAV services have been utilised in many environmental projects. To see how our system works click here. Below are examples of just some of the types of projects we’ve been involved in. We map terrain in both 2D and 3D. Coastal erosion is a truly dynamic Irish problem, mapping it can be difficult due to complicated topography and often dangerous, remote locations. Our services have been utilized by local authorities for mapping both hard and soft coastal terrain. 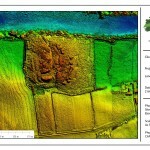 Our high resolution aerial photographs can easily be compared to previous surveys to track erosion rates. 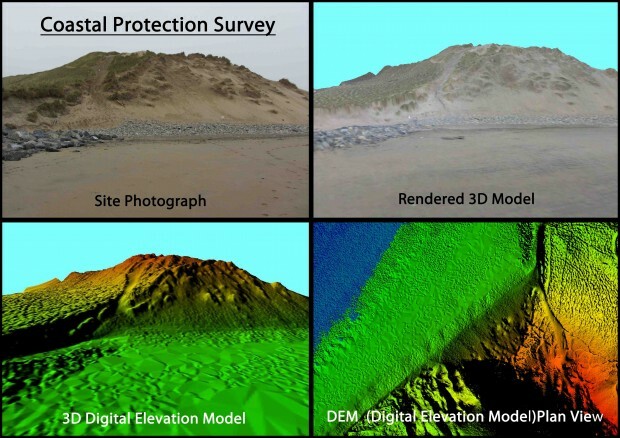 The 3D topographic models allow volumes to be calculated and protection measures to be designed accurately. The reasonable costs in comparison to other survey methods allow cost effective continual monitoring. Landfills are an important part of society but regular monitoring is essential. Our high resolution maps are a great resource for both Private Owners and Local Authorites to keep track of various aspects of their operation. We can calculate remaining volumes or identify areas suffering from uneven settlement. 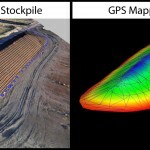 The EPAs unregulated or historic landfill program is a great example of where our UAVs are currently in action. Our surveys give Local Authorities the best possible information in order to take appropriate action. Other information such as ground water monitoring well locations can be overlaid to give a full picture of site infrastructure. River Flood Plain Mapping can be carried out quickly, identifying developments at risk and highlighting ways to improve the problem. Both banks of the river are mapped simultaneously and can be viewed in 3 dimensions. Our software allows us to simulate different flood levels and the affect it has on the terrain. This process can also be carried out for other terrains types such as Quarries and Landfill also. Cross sections at any point along the river can also be calculated. The simulation across shows the impact when the river level is raised 3m higher then current heights. It also highlights to flooding paths. One the most sensitive areas of the Irish Landscape and often the hardest to monitor is Peatland. Occupying huge parcels of land throughout the country access is often impossible for everything except tracked vehicles. Even walking can be difficult, our surveys whether in 2D or 3D can assist in any Peatland project from harvesting to monitoring and preparation of EIAs. 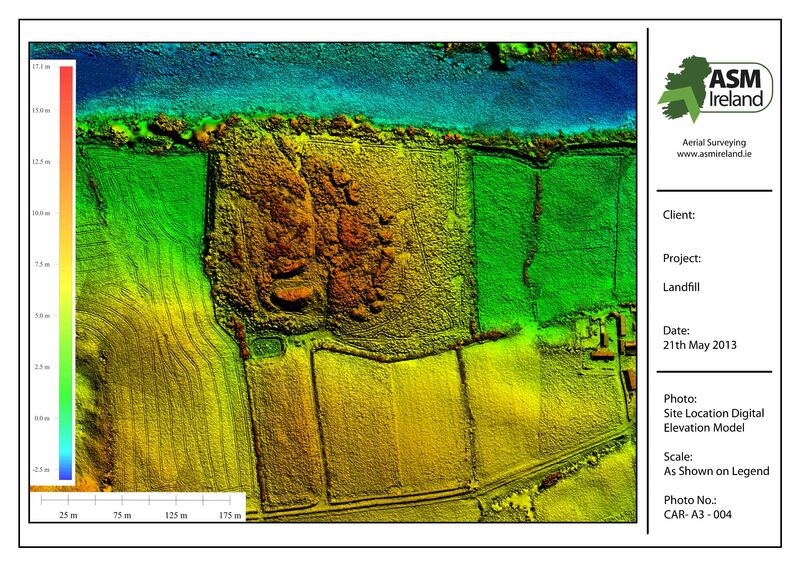 Aerial Archaeology has been in use in Ireland for decades and the benefits are vast, however due to the traditonal method of data capture i.e. the use of conventional Aircraft, it is often prohibitively expensive for all but the biggest Archaeological projects. The ability to document a project at various stages of discovery can be invaluable for Archaeologists, our cost effective services using UAV’s allow this to happen. Our surveys are georectifed allowing measurements to be taken directly off the maps, ensuring the correct decisions are made before, during or after a dig, its also allows the relationship between any discoveries made and the surrounding environment to be more clearly identified. 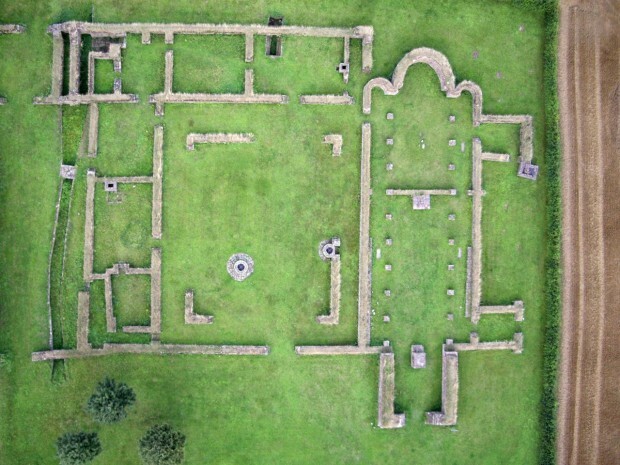 With resolutions of up to 2cm/pixel our surveys are also up to 50 times the clarity of existing Aerial Photos and Satellite imagery.